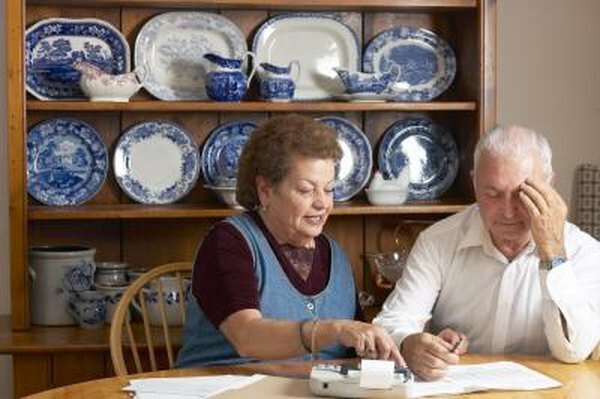 Personal savings should play a role in your retirement planning. 1. Is My IRA Insured? 2. Is Uninvested Cash in IRA Accounts FDIC-Insured? 3. Are IRAs Low Risk? You already know that it's a good idea to put aside some of your money for your retirement years. But after you socked away all that retirement money, you might wonder how safe it really is. Whether your retirement accounts are insured, and for how much, depends on where your retirement money is kept. Your bank may act as a custodian for your individual retirement account, and your bank IRA account is insured up to $250,000, just like your other bank accounts. But your bank custodian might allow you to put both insured and non-insured products into your IRA. For example you could invest in an FDIC-insured certificate of deposit as well as mutual funds offered through the the bank. Since the FDIC doesn't insure mutual funds, that portion of your IRA would not be covered by FDIC insurance if your bank became insolvent. That doesn't mean the mutual fund in your IRA would disappear, just that the mutual fund itself is not protected from loss by the FDIC. The Securities Investors Protection Corporation offers up to $500,000 worth of insurance for your retirement funds held by a member investments brokerage firm. SIPC insurance doesn't work the same way as FDIC insurance. It doesn't protect you against market losses of your investments. It only restores any missing investments to you in the event the brokerage firm holding your retirement account goes bankrupt. If you have your retirement money in a 401(k) plan, you probably have a number of investment options to choose from, ranging from relatively safe money market funds to more volatile growth stock funds. You might even be able to invest a portion of your retirement money in your company stock. There is no insurance against the market. If you or your retirement plan's money manager makes a bad investment decision and your retirement account loses money, you just lose money. If your retirement account manager failed in his fiduciary responsibilities or broke the law, federal courts might restore some or all of the missing funds under provisions of the the Employee Retirement Income Security Act. This is a court action and unrelated to insurance. If you work for a company in the private sector that has a defined-benefits pension plan, your pension is likely covered by the Pension Benefit Guaranty Corporation, which was created under provisions of the Employee Retirement Income Security Act of 1974. The PBGC does not cover pensions for employees of the state, local or federal government, and it does not cover workers at religious-affiliated organizations or small professional practices. It does not cover 401(k) plans, any kind of IRAs, health benefits or any other kind of retirement benefits. It only insures retirement pension payments for member companies that cannot meet their pension obligations. BusinessWeek: Are Your Retirement Accounts Safe? Pension Benefit Guarantee Corporation: PBGC Pension Insurance: We've got you covered. Forbes: How Safe Is Your Brokerage Account?